In these pages, Bruce Huett tells the story of the Mel, a river in Cambridgeshire. The pages include photographs from Bruce as well as from Iain McPhee and Yvonne Chamberlain, alongside historic images collected by Peter Simmonett of the Melbourn Village History Group, and by the Meldreth Local History Group. 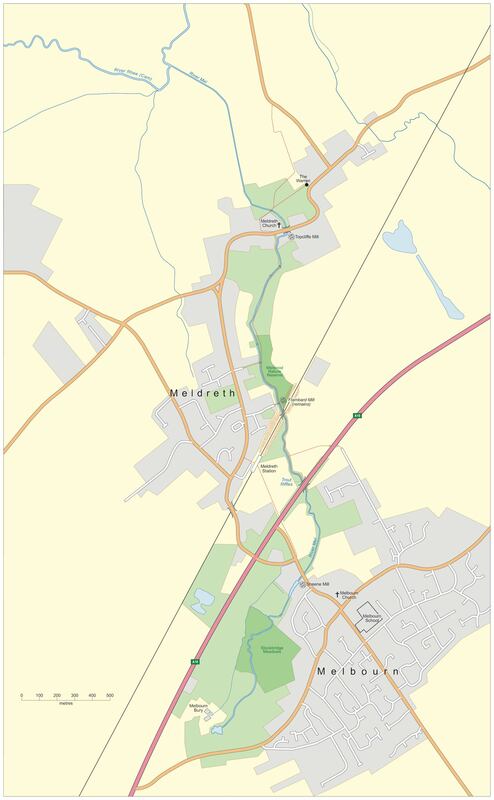 And the map below, showing the course of the River Mel was made especially for the Waterlight Project’s film-in-progress by Philip Stickler of Cambridge University’s cartography department. We are grateful to each of these for their support and for sharing these images!